To protect the heart, one should eat food containing fish oil. It has omega 3 that reduces the risk of heart diseases. It reduces the levels of LDL cholesterol, which is bad cholesterol, and increases the HDL levels or the good cholesterol. Thus fish oil can help to avoid heart strokes. A research in Australia has proved that fish consumption can be used to cure hypertension and obesity. The study has discovered that a weight-loss diet which includes a regular amount of fish consumption can be quite effective. People who are suffering from respiratory problems like asthma should eat food containing fish oil says a research. Researchers had put a number of children on a high-fish diet while others continued with their regular diet. Results revealed that the participants who ate more fish were less prone to asthma attacks and were able to breathe more easily. Omega 3 fish oil can help prevent three of the most common forms of cancer -- breast, colon and prostate. They stop the alteration from a normal healthy cell to a cancerous mass, inhibiting unwanted cellular growth and causing apoptosis, or cellular death, of cancer cells. Fish oil enhances the lustre of your hair. Omega three has properties that helps faster hair growth and prevents hair loss. 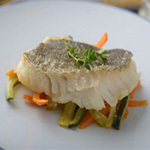 Since most fish are rich in protein, eating fish helps in keeping hair healthy. Fish oil helps in improving the condition of dry skin by making it shiny and glowing. It is useful in treating various skin problems such as eczema, psoriasis, itching, redness of skin, skin lesions and rashes. Fish oil is good for pregnant women as the DHA present in it helps in the development of the baby's eyes and brain. It helps to avoid premature births, low weight at birth, and miscarriage.